Believe it or not, there are tons of advantages of becoming a vegetarian. Despite this, just 5 percent of Americans consider themselves vegetarians, according to a 2014 review in the journal Nutrients. If you haven't considered vegetarianism in the past, keep an open mind. Making this simple dietary change could add years to your life. Giving up meat benefits animals and possibly the environment. Adopting a vegetarian diet means no animal is harmed to put food on your dinner table. For some people, this simple fact gives them peace of mind. The American Society for the Prevention of Cruelty to Animals (ASPCA) says most farm animals in the U.S. are raised in subpar conditions, which are unacceptable to many consumers. Such conditions include (but are not limited to) being kept in small overcrowded cages, indoor confinement, misuse of antibiotics, and abusive handling by workers. Greenhouse gas emissions associated with 2,000-calorie diets are twice as high in meat eaters compared to vegan dieters, according to a 2014 review in Climate Change. Lowering greenhouse gas emissions could have a beneficial impact on global warming and climate change because greenhouse gases in Earth's atmosphere trap the sun's rays (which can increase temperatures). One reason meat production creates greenhouse gas emissions is because factory farm animals produce methane during food digestion and feces excretion, according to the People for the Ethical Treatment of Animals (PETA). If weight loss (and staying slim) is your goal, consider giving up meat. Adopting a vegetarian diet is one of the most effective ways to lower body mass index (BMI) according to one 2014 study in Roczniki Panstwowego Zakladu Higieny. This is true, especially when you're used to eating high-fat meats because when you cut out meat, you're lowering calories and saturated fat. Vegan dieters tend to have the lowest BMIs, according to a 2014 review in the journal Nutrients. This is because vegan diets are the most restrictive out of all vegetarian meal plans. Meatless diets lower your risk for obesity, the Academy of Nutrition and Dietetics Reports. One reason for this is because non-meat eaters generally eat less saturated fat and more fiber-rich plant-based foods. One 2013 study says that while some overweight adults have increased life expectancies compared with normal weight adults, they experience a higher proportion of these later years in poor health. Keep in mind to achieve and maintain a healthy weight as a vegetarian, you should abide by general healthy eating guidelines, which include limiting added sugar, sugary drinks, and saturated and trans fats. Cutting meat from your diet may also lower your risk for heart disease, which is a leading cause of death in the U.S.
Harvard Health Publications suggests vegetarian dieters are more likely to have lower blood pressure and low-density lipoprotein (LDL) cholesterol levels than meat eaters. This means meatless diets can lower your risk for heart disease. 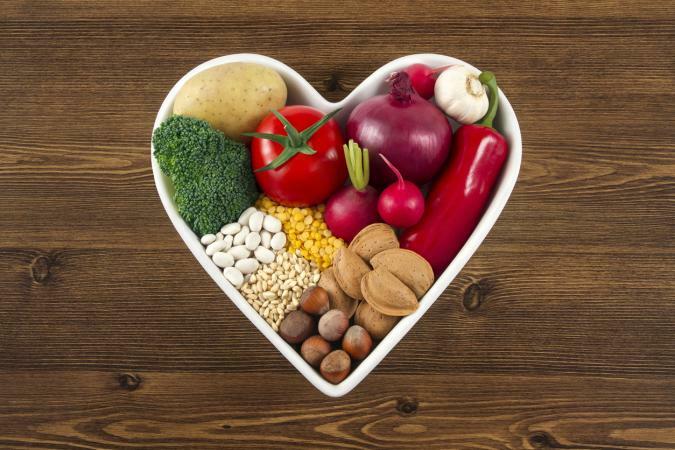 The American Heart Association says vegetarian diets may lower high blood pressure and coronary heart disease because plant-based diets tend to be lower in cholesterol, saturated fat, and total fat. A 2016 study in Critical Reviews in Food Science and Nutrition confirms vegetarian diets help protect against getting, and dying from, heart disease. This is due, at least in part, to vegetarian diets' effects on blood pressure. Another chronic disease affected by vegetarian dieting is cancer. The 2016 study published in Critical Reviews in Food Science and Nutrition says vegetarian dieting protects you against cancer, lowering total cancer incidence by 8 percent. Researchers who conducted this study found cutting out all animal-based foods (vegan dieting) reduces your cancer risk by 15 percent. A 2011 review in Cancer Management and Research also reports vegetarian dieting helps lower cancer risks, which may be due to fiber, antioxidants, and phytochemicals found in plant-based foods like fruits and veggies. Authors of this review say red and processed meats have been linked with higher risks for several types of cancer. 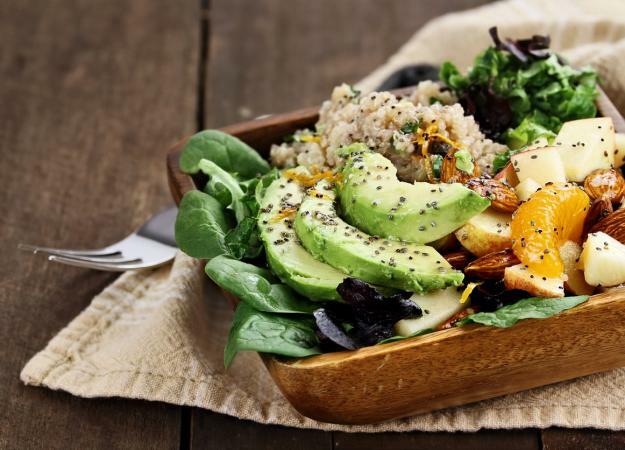 A third 2013 study confirms vegetarian diets appear to protect against cancer. Lowering your risk for diabetes is another perk of vegetarian dieting. According to the 2014 study in Roczniki Panstwowego Zakladu Higieny, improved insulin sensitivity is one reason why vegetarian dieters have lower risks for diabetes. The Physician's Committee for Responsible Medicine says meats and high-fat diets can cause your body to become more resistant to the action of insulin, and lower-fat, plant-based diets improve insulin sensitivity. This could be due, at least in part, to vegetarian diets' effects on body weight. If you already have diabetes, you can still benefit from going meatless. A 2014 study in Cardiovascular Diagnosis and Therapy says vegetarian diets significantly improve blood sugar control in people with type 2 diabetes. The Physician's Committee for Responsible Medicine confirms vegetarian diets aid in weight loss and help lower blood sugar. Mayo Clinic says fiber, abundant in plant-based foods, helps control blood sugar by slowing the absorption of sugar into your body. Keep in mind vegetarian diets high in added sugar, refined carbohydrates like white bread, saturated fat, and total calories may negate the beneficial effects of vegetarian dieting on blood sugar. Purchasing meat isn't cheap, especially when you choose organic, hormone- and antibiotic-free brands. That's why cutting out meat from your diet can help you pinch pennies when money is tight. In fact, one study published in 2015 in the Journal of Hunger and Environmental Nutrition found plant-based diets can save you almost $750 per year while providing you with more nutrient-dense fruits, veggies, and whole grains. Because there are so many health, economic, and ethical reasons to switch from regular to vegetarian dieting, why not give it a try? However, when doing so be sure to plan your meals carefully to get plenty of protein, iron, calcium, zinc, iodine, vitamin B12, vitamin D, and omega-3 fatty acids.